The Central Bank of Nigeria’s decision to float the naira in response to dollar demand and supply, in such austere times as this, will probably be ultimately remembered as another policy shift that breached the gates and unleashed devastating floods that swept away any flickering hope of economic diversification or credible inclusive growth. The serial devaluation dictated by the 1986 Structural Adjustment Programme was another such event that disenabled our economy, traumatised our people and challenged our traditional value system in many ways. 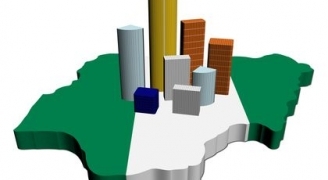 It is undeniable that with SAP, Nigeria’s erstwhile, vibrant industrial landscape soon became eclipsed by the rapid closure of bustling industrial estates, as sharp increases in the cost of vital machinery/raw materials and the prevailing high cost of funds pushed investors to the brink. Eventually, the carcasses of their factories were, inherited years later, by faith establishments who were conversely witnessing rapid expansion in following, some say, because of the overwhelming economic and social challenges. Sadly, the fervent prayers from these houses of worship have obviously not been directed to bringing about a positive turn around in our economy. Curiously, however, the IMF and reputable international and local experts had actually encouraged the belief that our economy will be enriched if we embraced SAP! Regrettably, 30 years later, we seem to have come full cycle and the same IMF and acclaimed financial powerhouses have again commended our government for swallowing the bitter pill of 50 per cent naira devaluation, which they, as usual, claim to be the strategic path to economic recovery. Ironically, President Muhammadu Buhari who stoutly resisted devaluation between 1983 and 1985, and later also made naira exchange rate parity, a campaign promise in 2015, has unexpectedly capitulated to the odious demand for more naira devaluation, despite the contrary historical evidence of the unfulfilled expectations for a benevolent impact of this policy. President Buhari’s volte face is intriguing, particularly after his public admission that his economic experts always talked above his head and never truly convinced him that devaluation would favour our economy. In retrospect, our social values became misaligned with the implementation of SAP, as all income values were grossly eroded, and the dignity of pension earners also became seriously abused, while thousands of professionals took flight abroad to greener pastures. Invariably, more Nigerian youths will still be propelled to join the desert caravan to North Africa en route Europe, choralled in suicidal bath tubs, as job opportunities, which offer reasonable living wages remain in short supply locally, and the devastating impact of the present 50 per cent naira devaluation paralyses industries and businesses. Indeed, the only immediate apparent advantage of the present devaluation is the “vanishing” advantage (because of spiralling inflation) of increase in government revenue, from the extra N100 that will be printed for each additional dollar earned from crude oil, notwithstanding the inflationary impact of such monetary expansion in a market where surplus naira is already an existing challenge to the CBN. Nonetheless, the expected revenue shortfall caused by the present lower crude prices, should be significantly compensated by the 50 per cent increase in naira allocations from each dollar shared by government. In effect, this cash bounty should significantly reduce or possibly eliminate the 2016 over N2tn budget deficit. However, the additional cash bounty may still not discourage government from processing and spending the N900bn domestic loan already budgeted, to partly fund the same deficit. In other words, the subsequent revenue excess created by devaluation may still be shared in addition to the proceeds from budgeted loans by government, without enacting a fresh supplementary Appropriation Bill to account for this expenditure. Incidentally, in order to restrain inflation, fuelled by the compounded expenditure, the CBN may ironically be propelled to increase its debt holdings by borrowing and sterilising part of the naira surplus. Ultimately, the commercial banks, specifically, will earn close to N500bn annually from the high interest paid by the CBN to remove such excess funds from the market. Indeed, this fiscal rascality has prevailed since our return to civil rule, when revenue expectations were regularly deliberately understated, with inappropriately low crude oil price benchmarks, to contrive unrealistic budget deficits, which were subsequently approved as public debt, despite the suspiciously high double digit interest rates, which are clearly inappropriate for such sovereign loans. Indeed, if more realistic crude benchmarks had predicated the same budgets, such oppressive, additional government loans would be happily avoided. Worse still, this culture of fiscal irresponsibility is instead further magnified with additional disbursements, usually without appropriate prior legislative endorsement, from the excess revenue consolidated from actual higher than budget benchmark oil prices. Hereafter, we will assess the direct impact of the present 50 per cent naira devaluation on critical factors such as inflation, productivity, employment and public confidence in holding the naira as a store of value. Inexplicably, the additional government revenue from naira devaluation, will ultimately provide little succour for the economy, as it will further fuel inflation and reduce purchasing power of incomes and consumer demand. Furthermore, since local industries are still also largely dependent on raw material imports, all import bills will invariably also rise by about 50 per cent if N300 exchanges for a $1, as speculated. Besides, the industrial sector’s already disenabling production cost burden will, unfortunately, become compounded with another 50 per cent price increase for diesel and gas required to power their plants. Worse still, with almost 20 per cent inflation rate and increasing production cost, the bloated working capital, consequently required to sustain businesses will unfortunately also attract over 20 per cent interest rates to ultimately make Nigeria’s industrial output less competitive against import substitutes. In addition, agitations for wage increase will also become strident to further threaten businesses. The predictable outcome would be serial retrenchments and business closures, with serious implications for our economic and social security, while faith organisations may again become beneficiaries of increasingly vacant factory/warehouse spaces. Nonetheless, with the present naira devaluation, retirement will also become a nightmare for wage earners whose pension contributions will depreciate by more than 50 per cent. Sadly, pension earners may become near destitute if inflation exceeds the current 16 per cent, especially if petrol sells for N300/litre and electricity tariff inevitably also spikes by over 50 per cent because of this devaluation. Furthermore, investment values in the stock market will depreciate from over $45bn when N200=$1 to less than $25bn with N300=$ exchange rate. Indeed, the value of our houses and all naira denominated assets, including the cash in our pocket and savings accounts have all now lost up to 50 per cent of the previous dollar value, while the oppressive burden of paying outstanding import bills, and other dollar denominated loans may send these debtors to their early graves. Frankly, our collective net worth and the value of all naira denominated assets have now been cut in half, with just a stroke of the pen, but it is unlikely that the speculated inflow of foreign exchange, from portfolio investors will ever approach $20bn as a result of this devaluation. However, since the CBN’s devaluation policy is fixated on dollar demand and supply, and obviously denies the pivotal role of systemic naira surplus, as the prime cause of devaluation, further devaluation will become inevitable, and the economy will sadly unravel. Clearly, if the surplus naira syndrome remains untamed, a naira exchange rate beyond N500-$1 will be possible this year. Incidentally, with the present naira rate, the N1,000 currency note, which is our highest denomination, is now worth just over $3. Surely, the naira will never command public confidence as a safe store of value and will continue to slide, so long as the CBN continues to auction dollar for higher naira bids, in a market with excess naira supply.